Hello Doodlebugs! 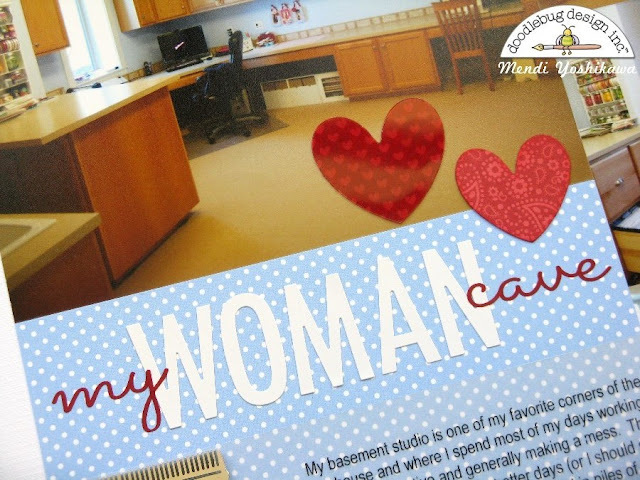 It's Mendi here with a layout showcasing one of my favorite rooms of the house... My woman cave as my family affectionately likes to call it. I keep an album filled with all the layouts I've created about myself as a special keepsake for my girls and I've actually scrapbooked quite a few over the years. However, when we were asked to create a project about ourselves this month I realized I had never documented about where I spend the majority of my waking hours. 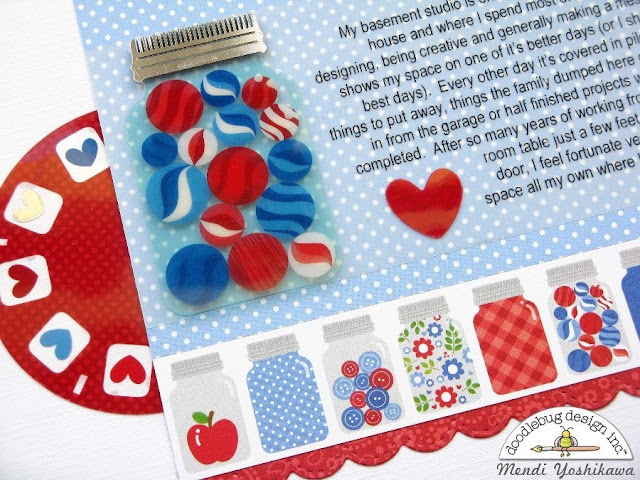 I thought Doodlebug's Yankee Doodle collection was a great collection to turn to because the blues are the perfect compliment to my walls--In fact I used a piece of Doodlebug cardstock that I took to the paint store for them to match when we built our house. ;) I was super happy when I realized the cute jars from the collection would also be perfect for a layout about my space. For my title I paired the Skinny alphabet stickers with some words cut out from red vinyl on my Silhouette Cameo. 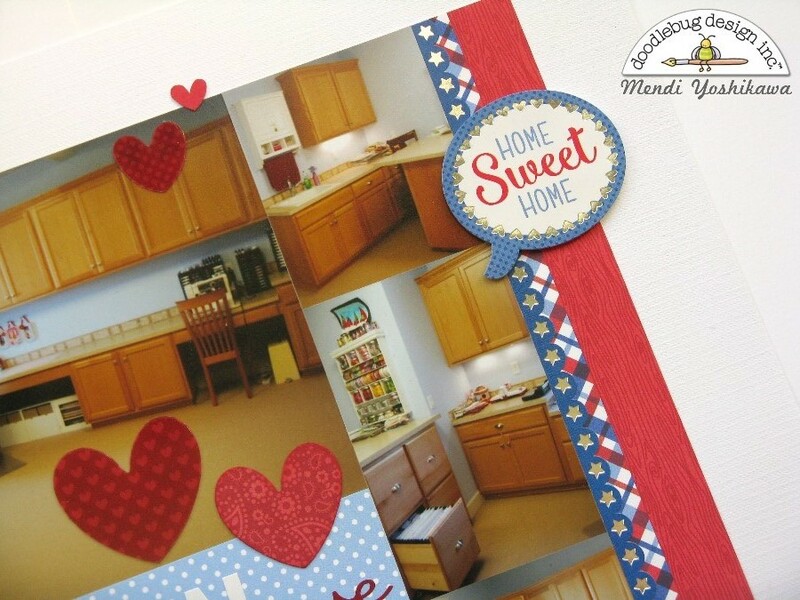 As a finishing touch I added the "home sweet home" sticker from the 12x12 this & that sticker sheet. I literally squealed when I saw it because it couldn't have been more perfect. I hope I've inspired you to document and scrapbook some favorite spots where you live. My Mom took some photos of me sitting in the middle of my messy room as a kid and they are some of my favorite pictures. They are a fun peek into my childhood with all the memories that flooded back of toys I had completely forgotten about.